Happy Friday! Welcome to another special edition of an occasional segment I’m putting together called The Friday Forty. Consider it a definitive list on all sorts of music-related topics. It’s been a while since the last one, but I hope you enjoy my latest list. Today, June 21, marks the Summer Solstice, and while the weather may feel like the summer’s already come, this would officially be the start of it. So, get out your shades and your sunscreen because the beach party awaits. You may have your favorite song that reminds you of summer, but how about the songs that actually have “summer” in the titles? From the breeze to the girls to the nights, there’s a lot to love about summer, and here are 40 of the biggest “summer” songs that have graced the charts over the past 50 years. From Bel-Air to the charts. Once upon a time, Will Smith actually paid the bills by rapping his way onto the charts. So, when he (as The Fresh Prince) and his main man DJ Jazzy Jeff hadn’t scored a big hit in three years, they decided to tackle a song about babes, basketball and barbecues. 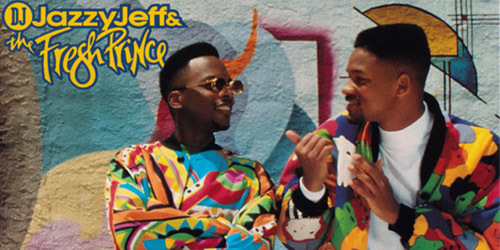 It became the biggest hit of their career, launching into the top 5 while Smith was also starring on The Fresh Prince Of Bel-Air. After one more album together and a few more seasons of his television show, Smith had his own solo career for a few years, tellin’ us how to get jiggy with it and party for the Willenium. He’s still acting today and so is his son, Jaden. “New Kids On The Block had a bunch of hits…” and so did this Boston trio. The Lyte Funkie Ones decided that after a few singles using that name, they should just shorten it to LFO. After a demo tape of this song made it into the hands of the program director at a Washington, D.C. radio station, he knew it was a hit, and he put it on the air in its unmixed form. This move led to airplay around the country and in the heat of the boy band invasion, a physical single sold well enough to lead it into the top 5 on the Hot 100. The group recorded one additional album released in 2001. 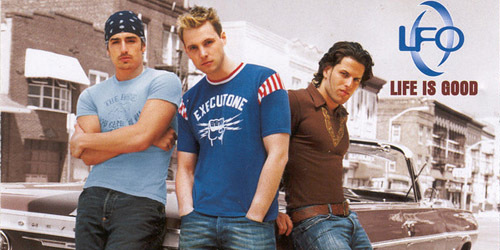 Lead singer Rich Cronin passed away in 2010. 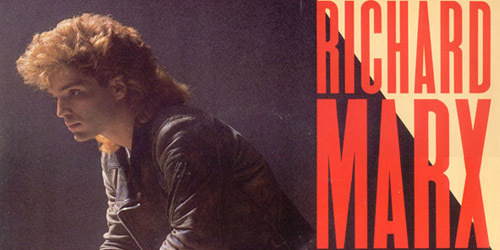 Released as the third single from Marx’s self-titled debut album, this ballad recalls the protagonist’s memories of a summer love and all the good times they had together. Marx didn’t have to look far for the inspiration for it; the song was written after a trip to Hawaii that he took with his now-wife, former Animotion singer Cynthia Rhodes. However, the male in the song doesn’t end up with the girl when the season ends; he just has those images in his mind of what once was. It was Marx’s biggest hit at that time in his career, peaking at #2 in the spring of 1988, blocked behind Michael Jackson‘s “Man In The Mirror”. Out of New York, John Sebastian and his band The Lovin’ Spoonful hit it big with a string of singles beginning in 1965 including “Did You Ever Have To Make Up Your Mind?”, “Do You Believe In Magic?” and “You Didn’t Have To Be So Nice”. However, it was in the summer of 1966 that they scored the biggest of the top-selling tracks, which spent three weeks at #1 on the Hot 100 in August. By 1967, group members began to exit the band, and Sebastian was gone the next year. However, he managed to score another #1 in 1976 as he was welcomed back to the charts with the theme from Welcome Back, Kotter. 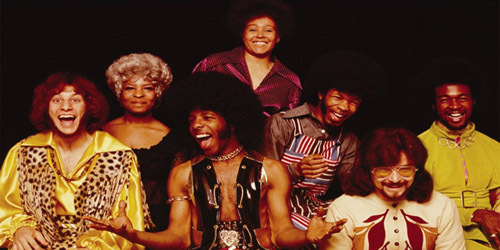 Combining members of the Stone family with several other musicians, Sly & The Family Stone became one of the top R&B acts of the 1960’s with a soulful, funkadelic sound that pleased several audiences. 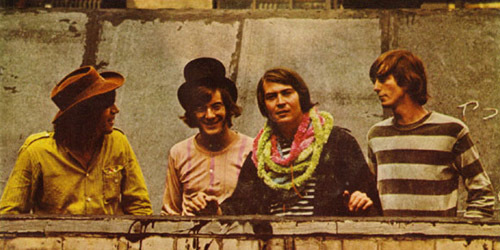 Originally released as a stand-alone single, “Fun” was eventually featured on the group’s Greatest Hits album in 1970. Both the single and album peaked at #2 on their respective charts, with “Fun” also making the top ten on the year-end chart. After “Family Affair” and There’s A Riot Goin’ On rose to the top in 1971, drug abuse and the egos of various band members tore the group apart, eventually splitting by 1975. Thanks for taking some time and checking out another of the Friday Forty posts and if you have any suggestions for themes or a favorite song on the list, let me know! Post away in the comments or find on Twitter: @AdamFSoybel. Until then, keep cool and enjoy the warm days while they’re here.